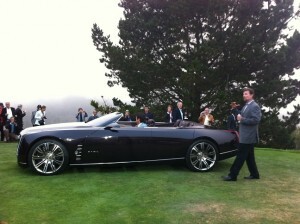 I attended the world premier of the Cadillac Ciel at Clint Eastwood’s Tehama Golf Club on Aug 18, 2011. 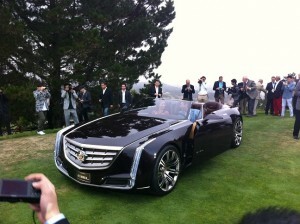 First new automobile (be it a concept) I’ve ever seen by Cadillac that was breathtaking. 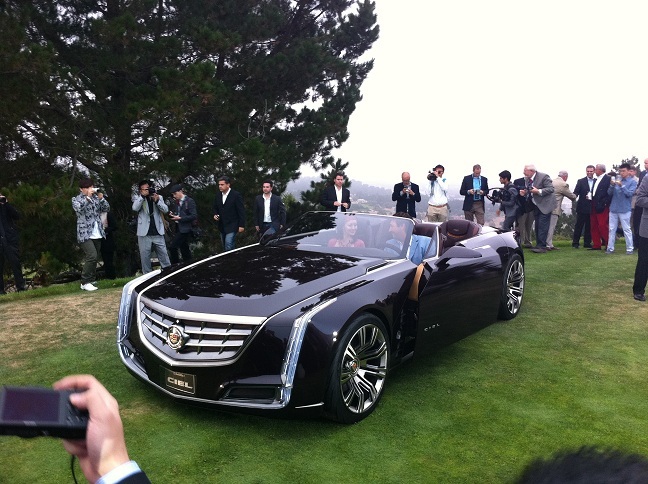 Very stylish throwback to the old days of convertible Cadillacs, complete with four suicide doors. 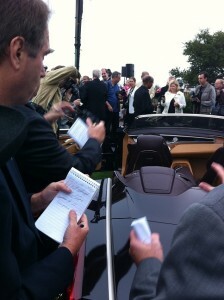 There was some lively dinner conversation after the unveiling whether the Ciel will ever be a production car or not. I had a great time talking to automobile photographer Ryland Scott too. 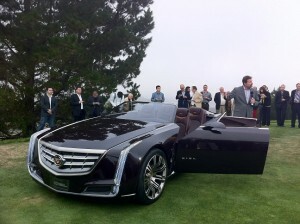 Cadillac hosted an excellent event. I’ll apologize for the poor pictures. I’m sure I was the only person to forget the camera for a concept car release. I was able to snap these photos with my phone and managed to get them on the Facebook before MotorTrend, NY Times Wheels Blog ,and the Wall Street Journal could get the Ciel on their sites. Click on their links to see their articles. It was a mob scene when the media folks from around the world were allowed to get close and ask questions. 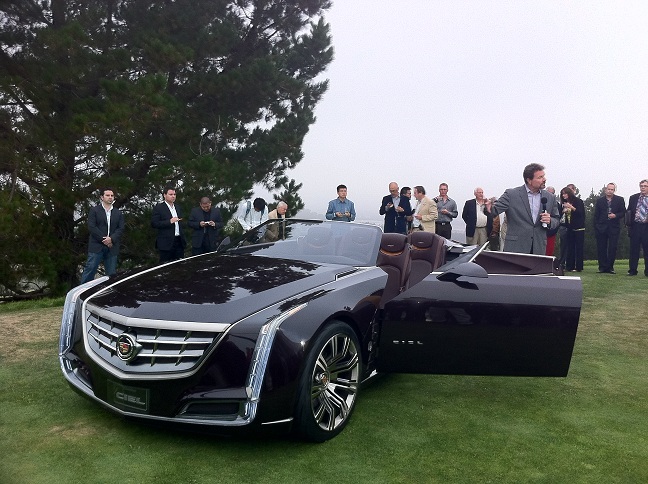 Thank You, Cadillac, for the invitation as well creating something new and exciting. 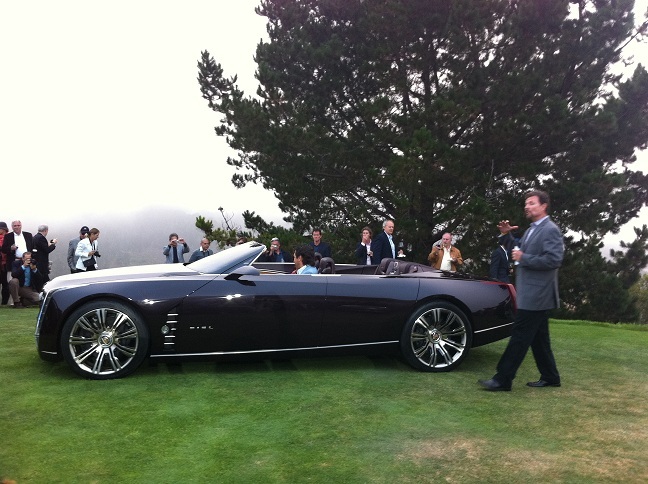 This entry was posted in Uncategorized and tagged cadillac, ciel, pebble beach, tehama by GranT urismo. Bookmark the permalink.